Alexandra Rothstein-Small is a Board Certified Behaviour Analyst with over ten years of experience working with children with Autism Spectrum Disorders, special needs, learning disabilities and behaviour difficulties. 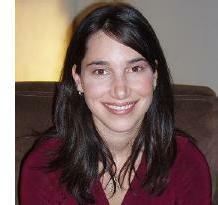 She has a Master’s Degree in Applied Behaviour Analysis from the University of Nevada, Reno. She currently develops and supervises ABA programs, provides parents with behaviour management strategies, and conducts parent workshops. She is married and the mother of twin girls.